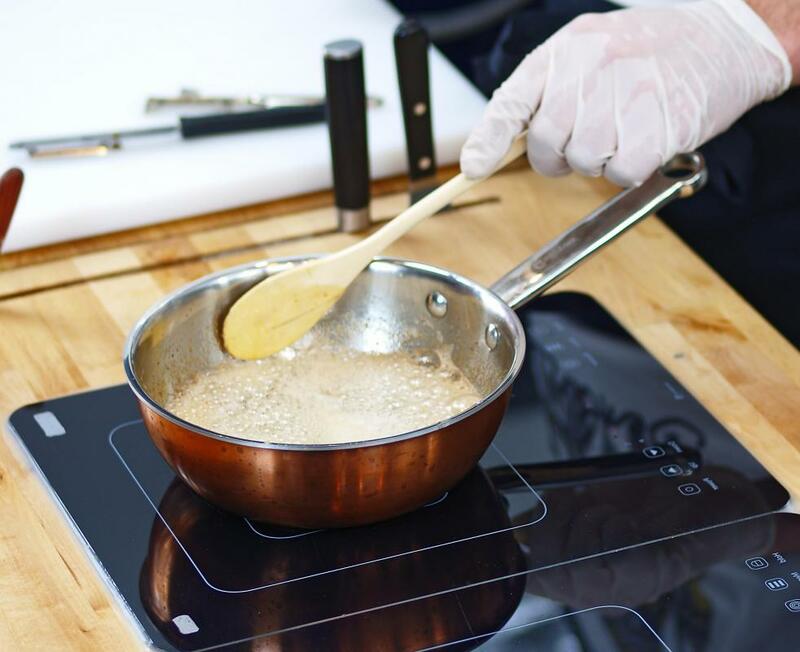 Electromagnetic induction cooktops have been popular in Europe for decades, and are gaining popularity in the United States. Electromagnetic induction is when a current is induced in a conductor because of a changing external magnetic field. This is a result of the magnetic force on the free electrons in the material. The size of the force is dependent on how quickly the magnetic field is changing. If this is the result of a moving magnet, then the force is proportional to how fast the magnet moves. Stationary or constant magnetic fields do not induce a current. When an electrical current flows through a conducting object, such as a wire, a magnetic field is created. This magnetic field is created around the wire, and its strength depends on the amount of current. The opposite of this phenomenon is electromagnetic induction, in which a current is induced in a wire or other conducting material by a changing magnetic field. One of the most important things to remember about electromagnetic induction is that it can only be caused by a changing magnetic field. If a person moves a magnet toward a wire, then a current is created in a certain direction. Moving the magnet away from the wire induces a current in the opposite direction. If the magnet is stationary next to the wire, however, no current is induced. Electromagnetic induction is possible because of the electrons in the wire or other conducting material. As the magnet is moved, the associated magnetic field moves with it. The free electrons in the wire, which are negatively charged, feel a force from the magnet that causes them to flow. In mathematical terms, the size of the force on the electrons is proportional to the rate of change of the magnetic field. This is why stationary magnets don’t induce a current — because, in this situation, the rate of change is zero. If a magnet is moved in one direction toward a wire, then the current will flow in one direction. This is known as direct current (DC). Alternating current (AC), however, is often more useful and is the type of current used in modern electricity networks. To induce an alternating current, a magnet can be moved toward and away from the conductor in a cyclical motion. There are a number of practical applications for electromagnetic induction. Pickups in guitars, for example, sometimes use electromagnetic induction to detect vibrations and turn them into an electric current. Other applications include induction motors, electric generators and induction cookers. What Is an Induction Regulator? What Is an Electromagnetic Pump? What is an Electromagnetic Coil? What is an Induction Coil?